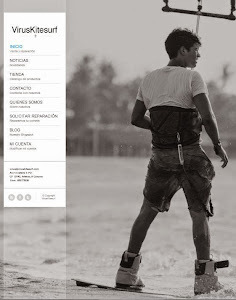 Inicio Review del resto de Material Kitesurfing in Cold Weather? Yes, it’s possible! Kitesurfing in Cold Weather? Yes, it’s possible! Maybe if you are in Brazil, the weather is hotter than the friendship between Valentino Rossi and Marc Marquez, but if you are in Europe, you may be frozen!!! So, if you want to enjoy kitesurfing in cold weather, these tips are going to keep you warm. In December, January and February, when the water and the weather are both around 10ºC, I usually wear a 5/4 ION element semidry wetsuit, I paid 189€ for it in a local shop. Some websites offer it for 180€. Sometimes it’s not enough and I wear a rash guard on it. The rash guard keeps you a little bit warmer. I’m thinking about buying a very cheap “windstopper”, or a top like this. You can get it for 20€ at Decathlon and it should be enough, which looks fine. As for the rest of the months, yes, I wear a wetsuit too 😉 , I have a Tribord 3/2mm. Decathlon sells it about 50€ for women and 90€ for men. It has a clearance sale going on so it’s a pretty good deal. The wetsuit for summer is really flexible. It fits perfectly and therefore you can ride very comfortable. In contrast, when the water gets colder, you are going to be frozen. This one was the first that I had and I was wearing it two winters. I couldn’t hit the water more than 2 hours. On the other hand, the wetsuit for winter is pretty unconfortable. When you put it on you turn into HE-MAN. Do you know who is he or I’m getting older 😉 … Well, this one is hotter than the other, but, also, after two hours I have to go out of the water because my hands and foot are becoming frozen. I need more than 15 minutes to take it off, because it fits absolutely perfect and it has 5mm of neoprene rubber. At the end of the journey most of the people hit the water for just 2 hours and then they go to drink beer. I guess that they, and me, prefer to drink beer better than kiting. Actually, this is the best way to keep you warm. As I said you, you can buy it at Decathlon or on www.youloveit.com , price will be around 180€. A Portuguese brand, ONDA, makes their own wetsuits and they still have a clearance sale going on, check this 5/3 out for 96€. And, what do you think about? twitter, instagram or check our TAPTALK ready phorum with Stock out offers! !